The S&P 500 remains in Transitional - Market State 6 following last week’s movements. Market State 6 is long-term Bullish, with 75% of Market State 6 periods transitioning back to a Bullish Market State Environment, according to Canterbury Portfolio Analytics. Market State 6 is often caused by an initial spike in volatility, and often followed with additional “outlier” days (either up or down 1.5% or more). CVI has declined 9 points off its high of 102 set on 4/6/2018. While CVI is slightly lower, CVI93 still indicates caution. We can probably expect to see additional outlier days as the market continues through this transitional environment. We have often discussed the Advance/Decline Line (A/D Line) over the last weeks. In the chart below we can see that the A/D Line is showing a positive divergence. 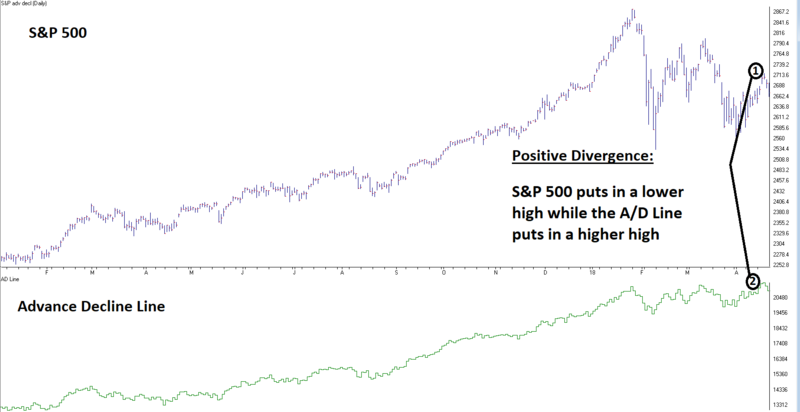 A positive divergence occurs when the market line puts in a lower high (point 1) while the A/D Line puts in a higher high. This is a bullish market characteristic showing broader market participation. Canterbury uses a proprietary indicator called Volatility Weighted Relative Strength (VWRS) to rank securities and asset classes. VWRS is a measure of performance compared to the asset’s level of volatility (as measured by CVI). According to VWRS rankings, small cap growth is leading the market, inching closer to putting in new all-time highs. This is a bullish sign, supporting the idea of broad market participation highlighted by the A/D line that was previously shown. Below are the VWRS rankings between small cap value and growth, mid-cap value and growth, and large cap value and growth. Here is a chart Small Cap Growth (IJT) compared to the S&P 500 (SPY). While the S&P 500 remains in a trading range small-cap growth stocks are being pushed higher. While the market remains in a transitional market, Canterbury’s indicators show some bullish signs. 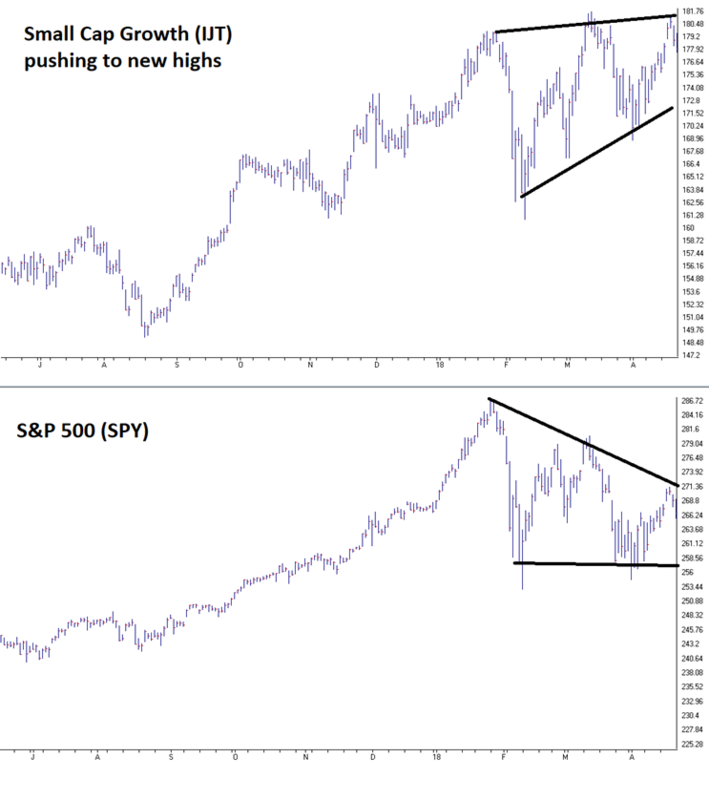 The Advance Decline Line is putting in new highs and Small Cap Growth stocks are leading the market. Canterbury will continue to monitor these characteristics and make any necessary adjustments that may be needed if the market shifts. I want to reiterate the importance of having an adaptive system that can manage all market environments- bull, bear, or transitional. Not all environments are alike. Today’s transitional environment may not be the same as the last one, or the next one. By having an adaptive system like the Canterbury Portfolio Thermostat, we can adjust to any market environment and its unique characteristics.